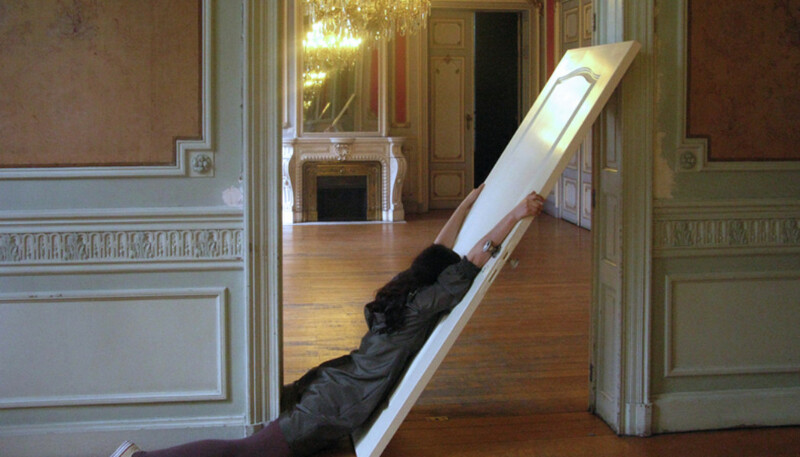 For a period of three months this fall the program of Stroom Den Haag will be dedicated to performance art, in the broadest sense of the word. We will explore the practice of ‘expanded’ performance, breaking through the boundaries of the exhibition space and actively engaging the audience. Exploring the practice of ‘expanded’ performance, this program questions the role of the exhibition space and actively engages the audience. Expanded Performance presents art works that evolve or change from week to week through activities and visitor participation rather than an exhibition in its finished form. Three main sources of inspiration form the basis of this program. 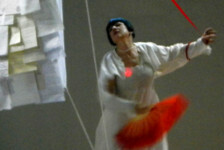 The title Expanded Performance is derived from the famous essay Sculpture in the Expanded Field (1979) by Rosalind Krauss. In this essay she describes how, against the modernist primacy, sculptures become more and more diverse, and how artists take on different positions in what she calls the ‘expanded’ field of sculpture. The idea of one medium with its specific set of conventions disappears. Sculptures can now be land art works, they can be temporary or ready made. In performance art we see a similar development. Performance art was, historically, the quintessence of conceptual art: the idea stood above the product and there was no end product that could be bought or sold. Only the performance itself counted. This historical fetish of the presence of both the body of the artist and the public is becoming less and less dominant. Performance art is gradually changing from an art form dominated by the creeds unrepeatable, undocumentable, unsaleable, to an art form that includes repetition, documentation and objects. This broader or more diverse way of approaching performance art is what this program focuses on and what we mean with expanded performance. Another important source of inspiration is the text Take Care by Anthony Huberman (2011), characterizing small art spaces (a category Stroom as a non-museum places itself in) in terms of their behavior, he places the how above the what, how they operate and how they behave. Instead of regarding an exhibition as a means to keep objects and processes under control, you might use the exhibition to discover, along with the visitors, how the point you wanted to prove behaves itself and how it develops. Expanded Performance explores the possibilities of an alternative was of programming, in which taking time, exploring a theme with your audience and an affective way of working are central ingredients. 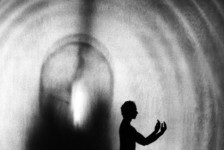 Finally, the third source of inspiration was a lecture by Pedro Gadanho during the TodaysArt festival in September 2011. Think of how to stimulate social space, rather than worry about the form of it. How people use the space, is more important than how it is made. Thus Gadanho explained the term ‘performance architecture’ in his lecture. Gadanho establishes a link between performance art and various architectural practices and shows how architects use performance strategies in order to set things into motion or to start a relationship with the audience (no matter if they are residents, passers-by or the visitors of a special project). Expanded Performance was developed as part of the socalled Curatorial Intensive about performance art organized by the American organization Independent Curators International. The project was further developed in relation to architecture and the urban environment. The core of Expanded Performance consists of new works by Ruth Buchanan (New Zealand), Leidy Churchman (USA), Vlatka Horvat (Croatia/USA) and Adrien Tirtiaux (Belgium). Their work takes on different positions within an expanded field of performance and moves beyond the body- or live-centered performance. A series of events revolve around the exhibition or take an independent stance. A reading group led by artist Maria Pask focuses on the concept of contemporary, ‘expanded’ performance, institutional working methods and audience engagement. Thomas Heyer and Jakob Kunst rethink the public spaces of Stroom with an architectural intervention. I Proclaim, You Proclaim, We Proclaim, a two-day performance event curated by Capucine Perrot, including Nicoline van Harskamp, Louise Hervé & Chloé Maillet, Léa Lagasse, Pierre Leguillon, Sarah Pierce, Alexandre Singh and Cally Spooner, addresses speech, text and language.The City School curated by Dutch architect Anne Holtrop deals with the restaging, renewing and exploring of historical urban performances and in Association with the project Immediate spaces from the Master of Arts and Design of the Sandberg Instituut.